The Stroum Center for Jewish Studies offers a variety of ways for community members to learn about Jewish histories, cultures, societies, ideas, and religion from our esteemed faculty and visiting guests at the University of Washington. The Stroum Center for Jewish Studies welcomes community members to attend our public events, the majority of which are free. Depending on the age and residency of the learner, there are two ways for adult learners to enroll in courses. Adults under 60 years of age should register as a nonmatriculated student (NM) unless planning to apply the credits you earn toward a specific graduate-level (master’s or Ph.D.) degree. Most people will fall into this category. For summer quarter: Go to the Summer quarter website to register as a nonmatriculated student. Summer quarter is often the best quarter for nonmatriculated students to take courses at the UW. In addition to generally having smaller class sizes in the summer, intensive language courses such as Intensive Beginning Modern Hebrew are offered in summer only. Check here for FAQs and here for fees for nonmatriculated students. 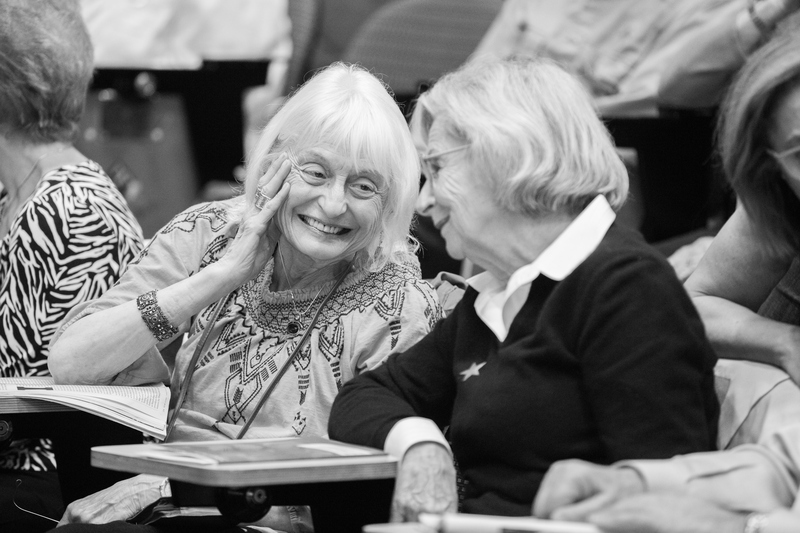 Washington residents over 60 years of age are able to enroll in courses at the UW through the ACCESS program. ACCESS students attend classes on an audit basis as nonmatriculated students. As an auditor, you may not participate in class discussions, take tests, or submit papers. It is strongly recommended that ACCESS students contact the professor (preferably via email) in advance of enrolling. ACCESS students enroll for a maximum of two courses per quarter for the low registration fee of $5. This does not include the Technology Fee that allows all registered students to have an email account and use of the computer labs. It is approximately $4 per credit that you are registered for. For example a student auditing a 5 credit class will pay approximately $25 per quarter with both fees. ACCESS Students have formed a student organization, the ACCESS Student Resource Group (ASRG), to enhance the academic and social experience of ACCESS students and support the educational and service goals of the University. ASRG sponsors informal meetups, a Facebook Group and special events. Contact them at asrg@uw.edu.